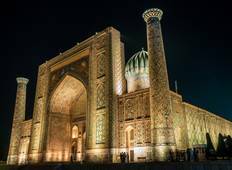 Find the right tour for you through Bukhara. 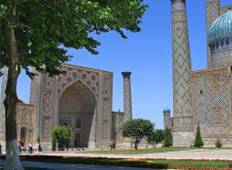 We've got 144 tours going to Bukhara, starting from just 5 days in length, and the longest tour is 134 days. The most popular month to go is September, which has the most number of tour departures. "The mood of the CEO was really good, everyone was on time, no accidents or injuries." "From the first contact with Odil at Steppe Journeys to the final flight home we were..."
"Had such an amazing week with Kalpak Travel in Uzbekistan. This is such a fascinating..."
"Great trip. Covered all the high stops without hurry. Fabulous guide"